Hi girls, I am here to share with you with my new face cleansing kits. 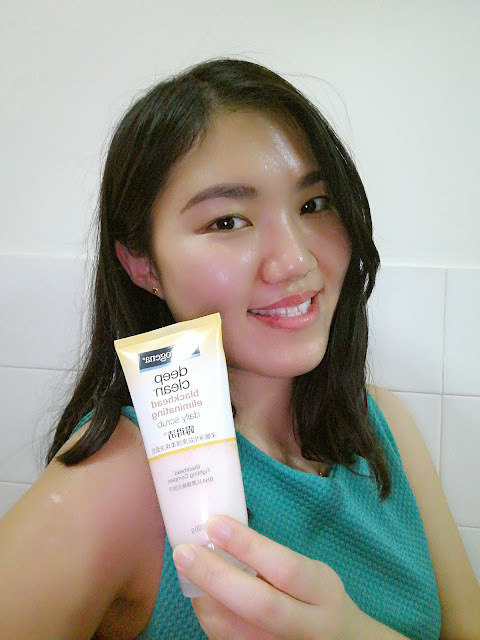 Neutrogena is one of my favorite brand on face cleansing because I feel quite comfy with its texture and the most important part is its fragrance. I use to wash my face daily, so I am quite concern about the fragrance of the products. Neutrogena has never stop on surprising me with the new series every time. Benefits: oil-gel type which contains Oleifera leaf extract to gently remove all traces of day makeup, dirt and oil after washing, feel clean and healthy on face skin. Benefits: provide long-lasting oil control to improve the look and feel of the skin, help to keep the face skin clear, fresh and healthy-looking. Benefits: penetrate deep into pores to dissolve excessive oil to help eliminate blackheads. After trying out all of these three products, I like the Deep Clean Blackhead Eliminating Scrub the most. (✌ﾟ∀ﾟ)☞ The reason why I like this the most is because blackheads have become my major problem on my face in my daily life and it is really very annoying. Thus, after trying out the Neutrogena Deep Clean Blackhead Eliminating Scrub, I start to gain my self confidence back! Introduction: Deep Clean Blackhead Eliminating Scrub helps to eliminate blackheads effectively, it prevents their return and provides a clear and healthy looking skin. It contains Blackhead Fighting Complex which acts as the most powerful residue that can penetrate deep into pores to dissolve excessive oil to eliminate the stubborn blackheads. It tends to prevent the new ones from forming with continuous use. It is produced by using natural ingredients with proven oil control efficacy. It is dermatologist tested, oil free hypoallergenic and non-comedogenic. My experience: I use this daily. It is really a pretty cool daily scrub cleanser which I can basically scrub my blackheads area everyday. Yes, I am mentioning 'everyday'. Scrubbing products which are found in the market are usually not suitable to be used for daily wash as their tiny little things inside the liquids are quite rough to be rubbed onto the face. 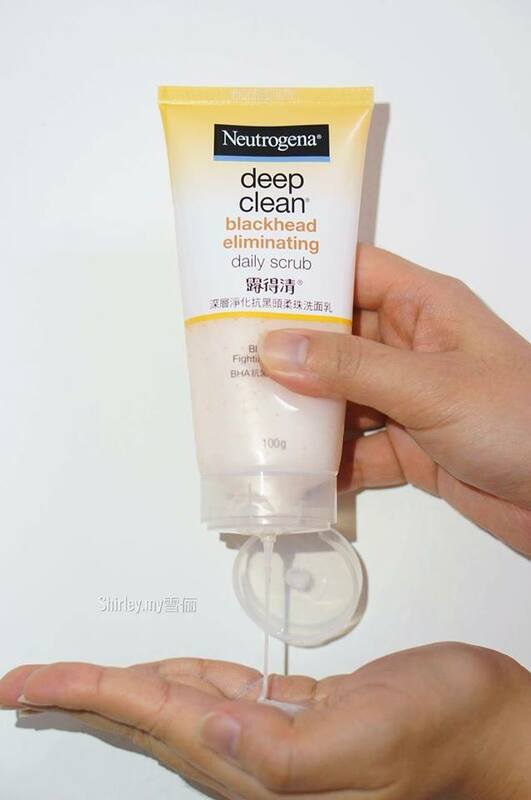 However, from trying out the Neutrogena Deep Clean Blackheads Eliminating Scrub, I found that the little tiny things inside are very smooth and tiny. When I rub it onto my face, I don't feel the roughness but feel very smooth while I am scrubbing my face. That's the coolest part that I feel on this product. And, it makes my day! Step 1: Squeeze it on my hand. Step 2: Rub it on your hand evenly and scrub it on face. I start on the cheek's area first. Step 3: Scrub it on the forehead. Step 4: Scrub the nose's area gently. Step 5: After that, wash it off with clean water. If you ask me whether this product is worth for trying, my answer is YES! The price is affordable and the most important is that it can really give you excitement on trying out this product.